Palestinian medical sources have reported, on Tuesday, that a Palestinian fighter was killed in a border tunnel, between Gaza and Egypt, in Rafah, in the southern part of the Gaza Strip. 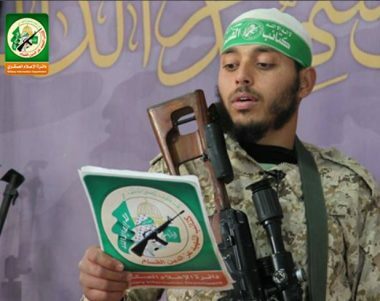 The Al-Qassam Brigades, the armed wing of Hamas, has confirmed that the Palestinian, identified as Hani Faraj Shallouf, 24, was one of its members. It added that Shallouf was from the Shaboura neighborhood, in Rafah, and that he was working in one of the tunnels when he was accidentally killed. On Thursday, September 14th, two Qassam fighters were also killed, in two separate incidents, when border tunnels collapsed on them.